Anna and I have decided to have monthly wine and craft nights after our extraordinarily fun day of making cards last week. We sat down on the floor of my apartment and brought out all the goods: pretty fabrics, pretty scrapbooking paper, buttons, gemstones, glue, scissors, and pretty much anything and everything I own and can cut up and use. 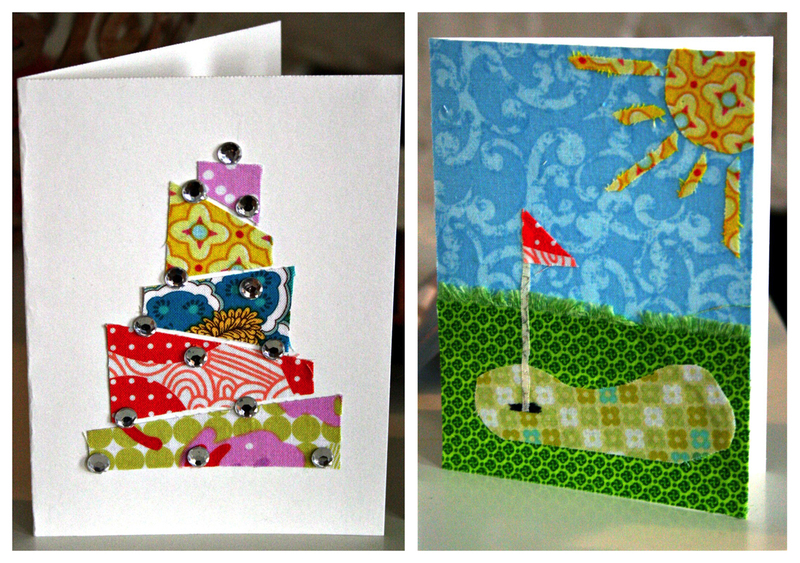 Anna made 4 gorgeous cards, and since I am slow and a crazy perfectionist, I only made 3. However, I can only post two of mine here right now as one was not given yet! This entry was posted on October 6, 2011. It was filed under Cards, Crafts.